At Innovative Auto Craft, we have a deep-rooted passion for pushing the boundaries when it comes to auto customization. From body kits to car wraps, wheels, and performance upgrades, we craft each aspect of customization flawlessly, executing with the utmost quality and precision to make every project a true head turner. 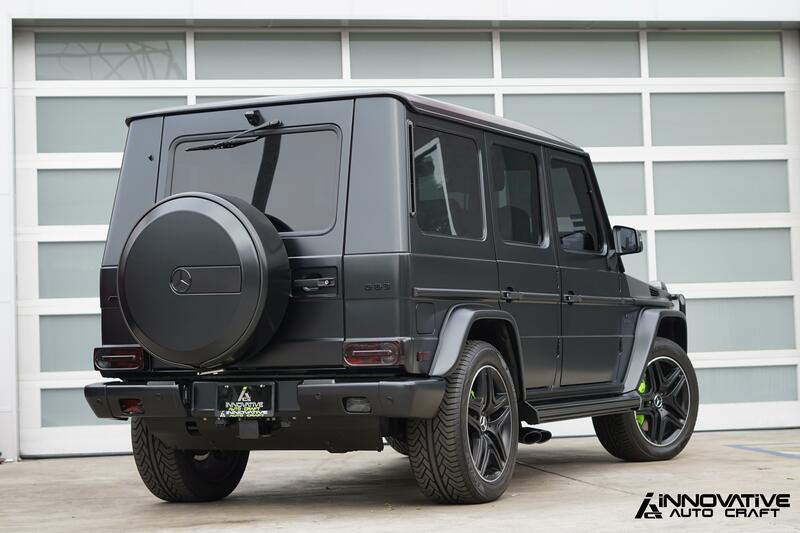 Below, we present one of our recent projects: the Satin Black G63 AMG Black Out. We provide a profile on the project, describing the full details of the customization. 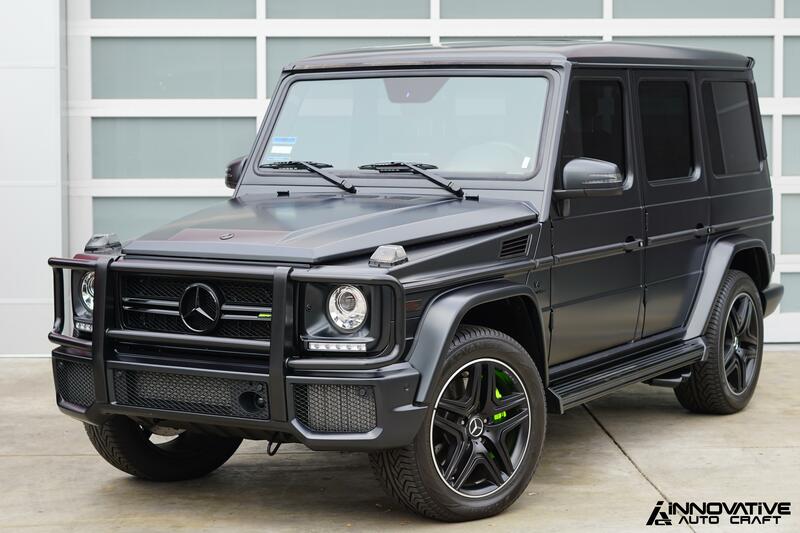 There were many ideas flowing when this 2018 Mercedes Benz G63 got to Innovative Auto Craft straight from the dealership. Our client wanted a bold look that was still sleek, refined, and capitalized on the class the vehicle already possessed. The vision was to continue on the theme of the satin black body color, and add some colorful details to create a one-of-a-kind look. We did this by completely blacking out the trim, tinting the windows, as well as tinting the lights. 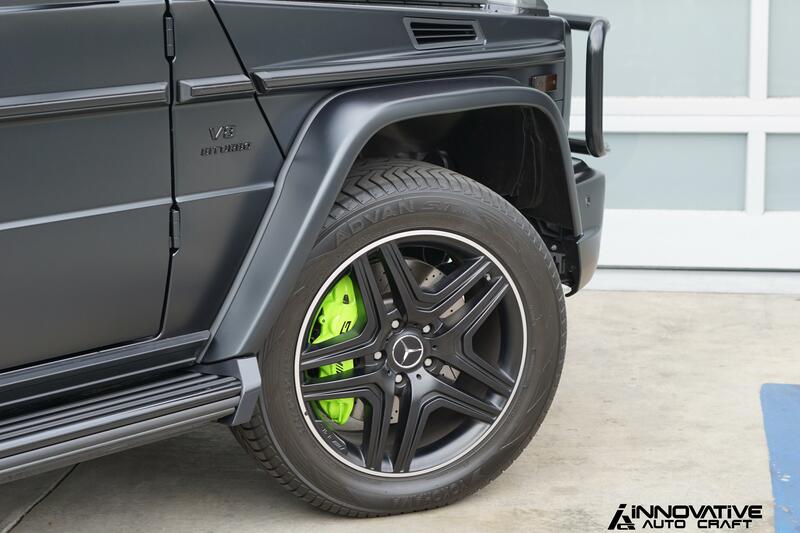 Finally, we added a fully customized neon green finish on the brake calipers to give the all-black G63 a perfect dose of pop and color. Considering 2018 was the last year for this iconic G-Class body, this project was truly special. We went in with the idea of creating a timeless design that would pay homage to this G-Class body, and the result speaks for itself. 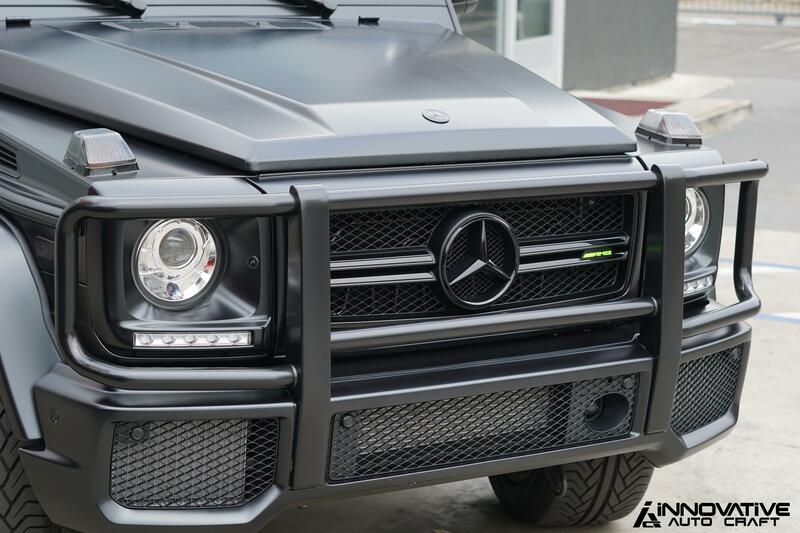 More work remains to be done, so stay tuned for more on this G63.